Purim in Outer Space: Megillah Reading, Dinner and Party! CTeen Shmurah Matzah delivery prep! Purim in Outer Space: Megillah Reading, Dinner and Party! The Great Hamentashen Bakeoff and Crafts 5779! CTeen International Shabbaton in NYC! JKidz Class Reenacts the Exodus from Egypt! CTeen Tu B’Shevat Fruit Ninja! CTeen Paint Nite Camp Gan Izzy Winter Camp and Daily Family Programs 5779! 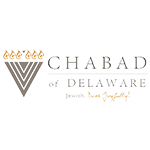 Chanukah Family Fun Festival, Menorah Lighting and Dinner! Chanukah Limo Party in Philly for Teens 5778! CTeen Jr. Chanukah Party and Doughnut Showdown! JKidz Hebrew School Chanukah Fair! Car Menorah Parade through the Streets of Wilmington! CTeen Mitzvah tiles of Love for the Victims in Pittsburgh First Day of JKidz Hebrew School 5779! CTeen Foam Party by the Sukkah Kickoff Event! The Sukkah Mobile Make its Rounds Through Wilmington! JKidz Hebrew School Farewell Ceremony 5778 Camp Gan Izzy Delaware 5778 - Week 1 Highlights! Camp Gan Izzy Delaware 5778 - Week 2 Highlights! About Women's Mitzvot Articles & More Mega Challah Bake! You've reached the beginning of Purim in Outer Space: Megillah Reading, Dinner and Party! You've finished Purim in Outer Space: Megillah Reading, Dinner and Party! The Great Hamentashen Bakeoff and Crafts 5779! CTeen International Shabbaton in NYC! JKidz Class Reenacts the Exodus from Egypt! CTeen Tu B’Shevat Fruit Ninja! CTeen Shmurah Matzah delivery prep! Camp Gan Izzy Winter Camp and Daily Family Programs 5779! Chanukah Family Fun Festival, Menorah Lighting and Dinner! Chanukah Limo Party in Philly for Teens 5778!